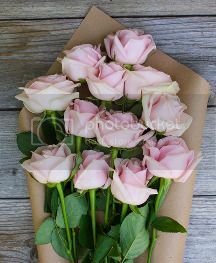 I hate sending flowers to people. 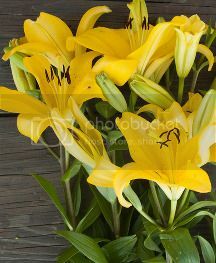 Unless you can go into the store and watch them pick the flowers, you never know what your recipient is going to get. Will they send the colors you asked for? Will the arrangement arrive fresh? This is where The Bouqs Company comes in. 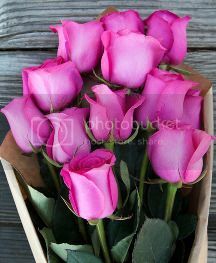 I was recently given the opportunity to receive and review a bouquet of flowers from The Bouqs. I can honestly say I will never use another online florist again. Here are four simple reasons why. 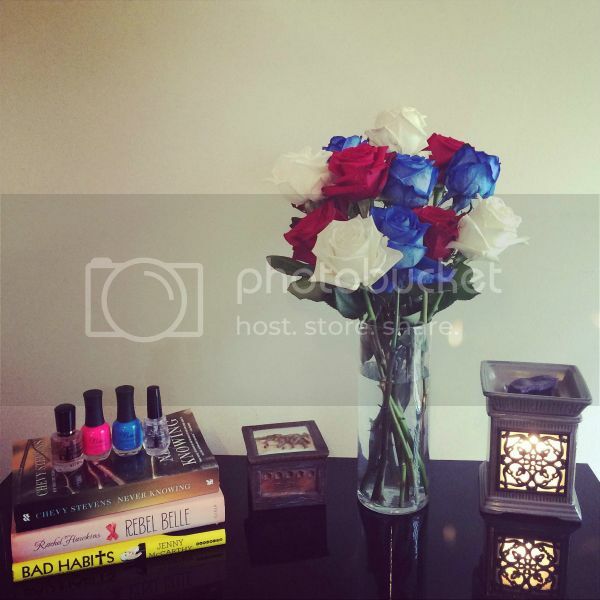 I chose the Red, White and Bouq! arrangement since the Fourth of July is right around the corner. 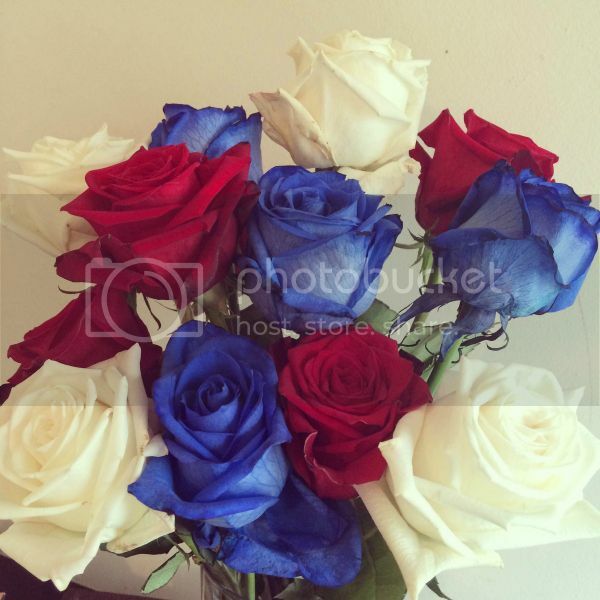 These red, white and blue roses arrived in perfect condition. As you can see from the photos, the flowers are absolutely gorgeous. And guess what? I snapped these pics seven days after the flowers arrived. SEVEN DAYS! For me, there is no bigger selling point. Fresh flowers really do last longer. 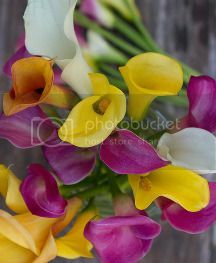 The Bouqs offers a large variety of flowers, but the selection doesn't leave you feeling overwhelmed. They also don't have annoying up-sells like candy and teddy bears. You want flowers. You get flowers. 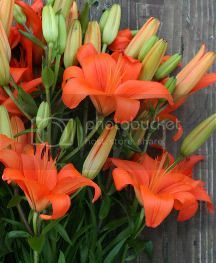 They have an amazing concierge service which makes sending flowers easier than ever. 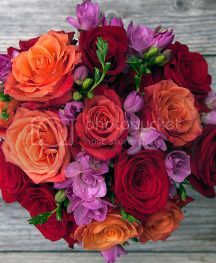 The Bouqs will remind you when it's time to send flowers for birthdays, anniversaries and other important dates. They'll send flowers whenever and wherever you need including random just because dates. I'm extremely pleased with The Bouqs Company. The flowers and service are great. It's also extremely easy to order from their website. I can't wait to order from them again and again. If you'd like to order fresh, beautiful flowers from The Bouqs, you'll receive $10 off your first order. The Bouqs is a great company! I sent my mom some flowers from them for Mother's Day. She missed the delivery on the scheduled date and didn't get them until two days later. They weren't in water or anything, but were still perfect when she got them. Woohoo, bouqs ambassador! I seriously love this company. And I love your festive flowers! !